Does Fast Food Make You Stupid? After all the other blame fast food got for causing health problems do we have to add your brain as a victim? I don’t know about you, but on occasion I have the urge for a nice Big Mac, fries and a soft drink to wash them down with. Healthy eating advocates feel their hackles rising when they hear that, but, let’s face it, the stuff tastes good. Otherwise McDonald’s wouldn’t be a company that’s successful the world over. But what happens when you have too much fast food? No, we aren’t talking about supersizing yourself as Morgan Spurlock demonstrated it. You can in fact lose weight with fast food. The problem may be with your brain. Scientists from Ohio State University looked at data from 11,740 students who took part in a test that examined reading / literacy, mathematics and science skills in 5th and 8th grade. In the 5fth grade they also filled out a food questionnaire: what did they eat and how regular a staple in their diets was fast food? That much was already obvious. But what wasn’t was how the brains of the kids with high fast food consumption reacted to their dietary habits. Those who ate most fast food in 5th grade scored worst across the board in 8th grade. And that was after accounting for everything else that could explain differences in educational success (economic status, family background, how much television they watched etc.). The kids who ate it only 1 – 3 times per week did worse in only one subject: math. Kelly Purtell, the study’s lead researcher, stresses that this only shows a link and not the reason why the effect is so. 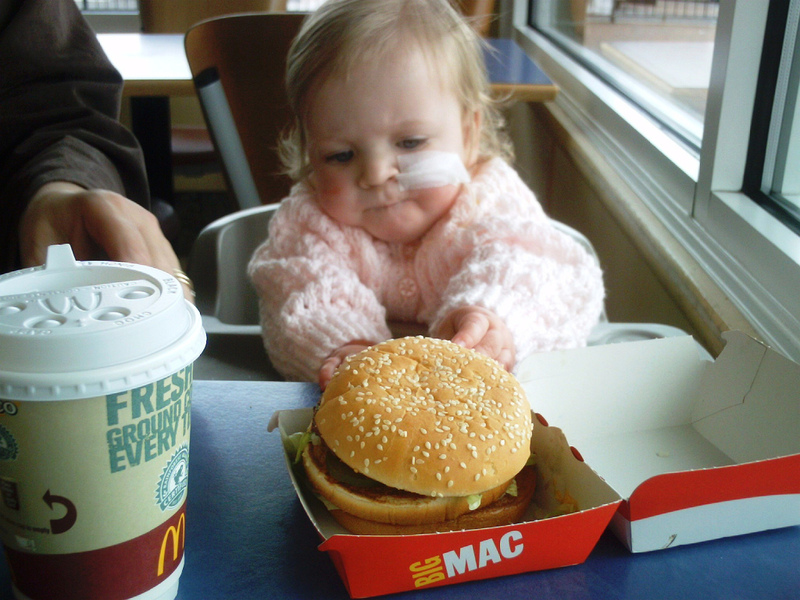 She assumes that fast food lacks some nutrients, such as iron, that play an important role in cognitive development. Which may very well be and is true for any one-sided form of nutrition. Have the occasional burger or pizza, but balance them out with some greens on the other end! Pictures courtesy of “Like_the_Grand_Canyon” and James MacDonald.